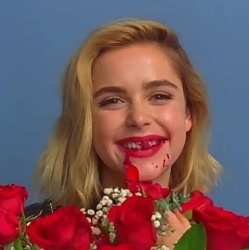 Kiernan Brennan Shipka is an American actress. She is known for playing Sally Draper on the AMC series Mad Men (2007), B. D. Hyman in the FX anthology series Feud (2017), and voicing Jinora in the Avatar: The Last Airbender (2003) spin-off, The Legend of Korra (2012). She stars as Sabrina Spellman on Netflix's Chilling Adventures of Sabrina (2018) series based on the comic series of the same name. 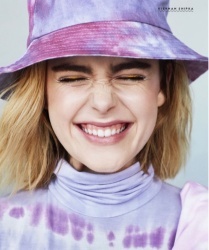 Kiernan Shipka was born in Chicago, Illinois, to John Young Shipka, a real estate developer, and his wife, Erin Ann, a one-time queen of Chicago's St. Patrick's Day parade. She has a sister. Shipka began doing commercial print modeling when she was a baby., and has been taking ballroom dancing classes since the age of five. Her family relocated to Los Angeles, California, when she was six to support her acting career. She got her black belt in taekwondo in June 2012. As part of Mad Men (2007)'s ensemble cast, she won the Screen Actors Guild Award for Outstanding Performance by an Ensemble in a Drama Series in 2008 and 2009. As part of Mad Men's ensemble cast, she won the Screen Actors Guild Award for Outstanding Performance by an Ensemble in a Drama Series in 2008 and 2009. Shipka has received praise for her performance on Mad Men (2007). 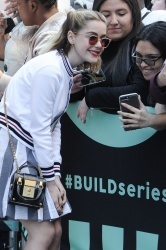 In naming her as his dream nominee for the "Outstanding Guest Actress in a Drama Series" Emmy Award, Austin American-Statesman critic Dale Roe remarked, "This 10-year-old actress was so affecting as troubled Sally Draper last season that it seems odd that she's only just been upgraded to series regular. 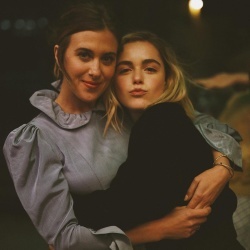 If Shipka's upcoming Mad Men (2007) work-struggling with the broken marriage of her parents and entering preteendom in the tumultuous 1960s-remains as amazing as it was in season three, this is a ballot wish that could come true next year." Initially a recurring guest star, Shipka was upgraded to a series regular with the start of season four. She got the part after two auditions. Shipka's credits after Mad Men (2007) include Flowers in the Attic (2014) (2014) and a dual role in the Oz Perkins horror film, February (2015) (2015). In 2014, Shipka was named one of "The 25 Most Influential Teens of 2014" by Time magazine. In the same year, IndieWire included her in their list of "20 Actors To Watch That Are Under 20". In 2017, she portrayed B.D. Hyman, daughter of Bette Davis, in the FX television series Feud (2017). In January 2018, it was announced that Shipka would be starring as Sabrina Spellman in Netflix's Chilling Adventures of Sabrina (2018) series based on the comic series of the same name. The first season was released by Netflix on October 26, 2018.